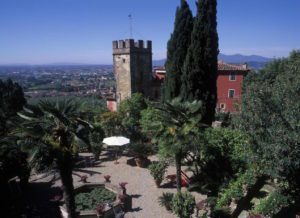 This coming Sunday is the last chance to experience the blooming private gardens and citrus plants of Buggiano Castello. 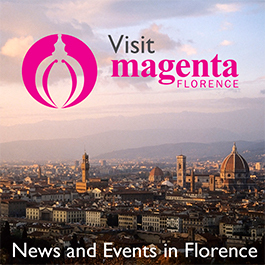 The initiative, called “La Campagna dentro le mura” (The Countryside within Historic City Walls) is held every two years, and provides a look at inaccessible green spaces contained within a quintessential pre-Renaissance Tuscan hill town. “La Campagna dentro le mura” on May 7 from 9 am – 1 pm and from 2 – 7 pm, features guided tours of the treasures of Buggiano Castello. Shuttle bus service is available from Borgo a Buggiano: admission is €8 (€6 reduced) with proceeds donated to the restoration of Palazzo Pretorio. Crowning a hilltop, Buggiano Castello, with its medieval architecture, Pompeii-red façades, miniature secret gardens and Romanesque church, is as close to paradise as one may find on earth. One hundred inhabitants tend the pastiche of vibrant color created by the fragrant jasmine, lemon and orange plants trellised on stone walls and nurture camellia trees, rhododendrons, azaleas, freesias, snapdragons and calla lilies along with citruses on handkerchief-sized plots in their backyards. Fairy-tale-like 17th century Villa Sermolle is encircled by a formal baroque garden.